Yes, we swayed to Stille Nacht (Silent Night in German) as we stared up at Taipei 101, Asia’s most stunning skyscraper, and basked in the light of fake log fires and a sea of twinkly Christmas lights. From Taiwan, we moved on to Bangkok, our home away from home in Asia. 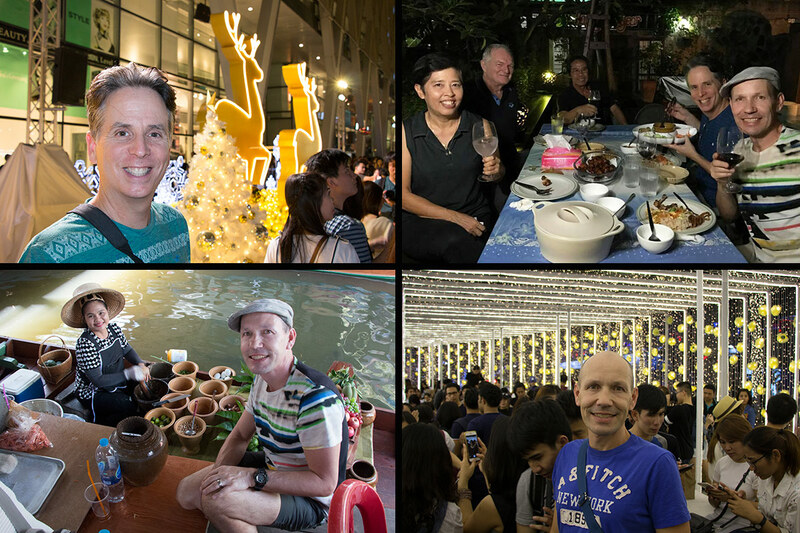 It was time to catch up with our Thai family at MyView in Sukhumvit and our old friends at the Taling Chan Floating Market. Hilariously, even after 5 years, our favorite green papaya salad lady immediately screamed with delight when Thomas walked up. 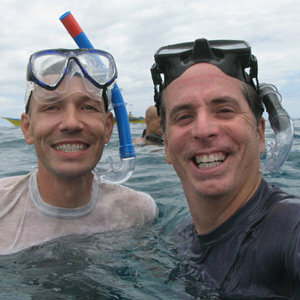 Although, given the amount of papaya salad Thomas can consume, that really wasn’t that surprising! 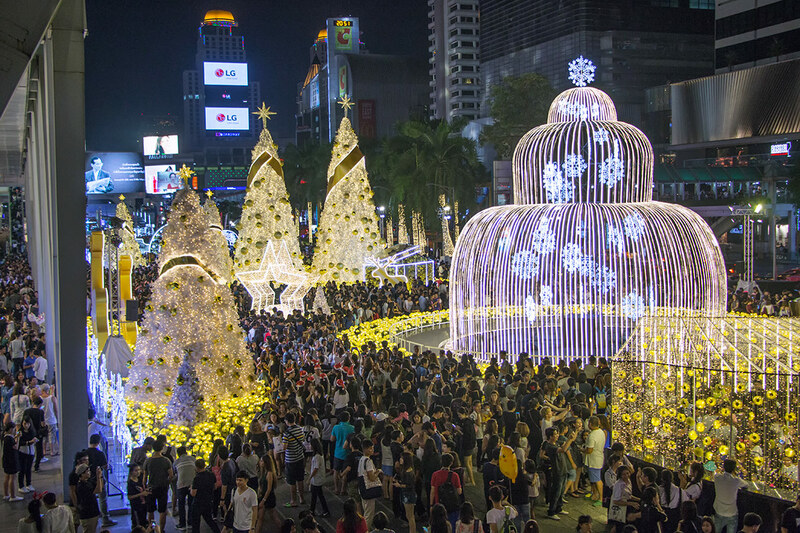 Bangkok may seem like a strange place for Christmas… but this will make it our fourth Christmas here and we love it!!! For us, it’s all about tons of amazing food, the latest movies (in English), great atmosphere and awesome people. 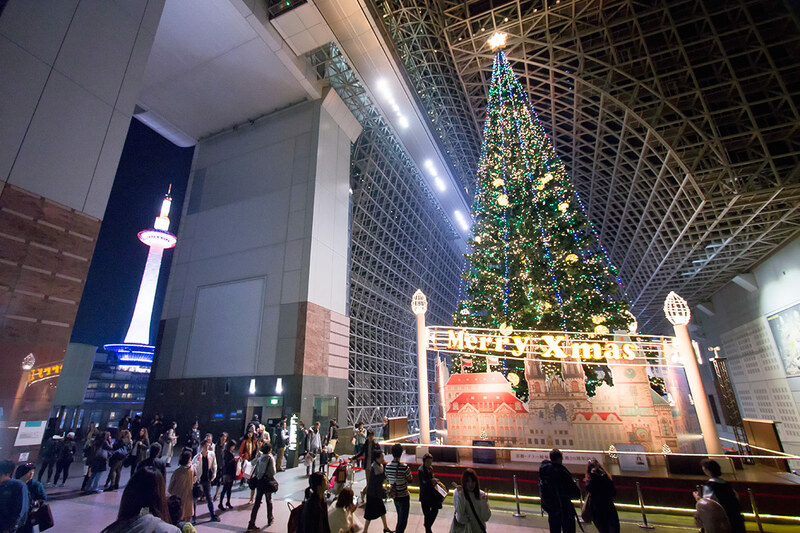 The train station in Kyoto featured a massive Christmas tree with a mock-up of Prague’s Old Town Square around its base with epic views of the Kyoto Tower off to the left. 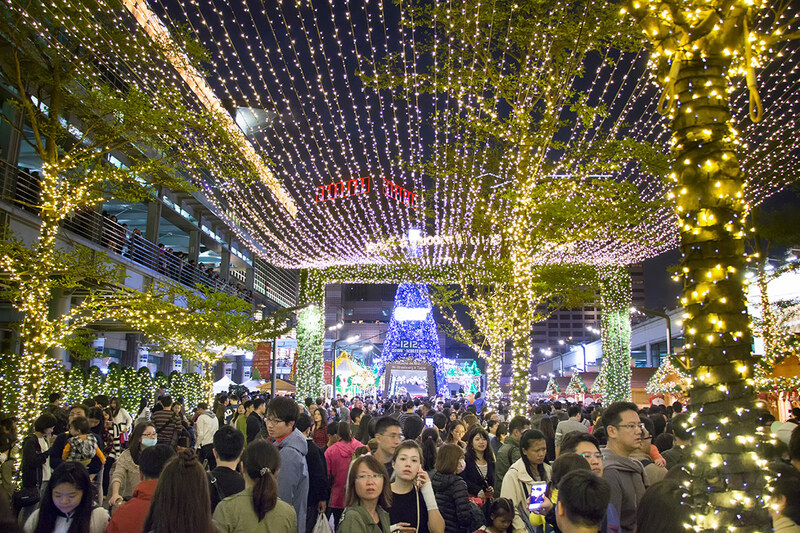 The square next to Taipei 101 offered up a Chinese take on a traditional German Christmas market including a range of German edibles as well as a huge illuminated trellis walk-through. Thanks for the great photos of this years celebrations.